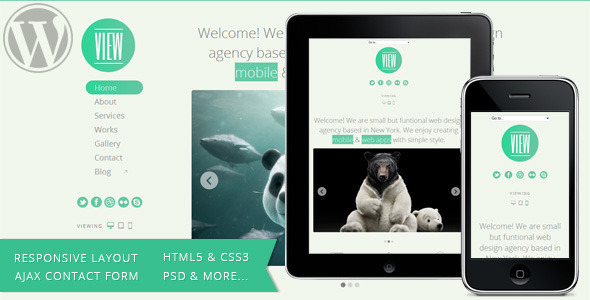 View is a Responsive WordPress theme. This is minimalist design and is best for personal and portfolio site. A lot of features like gallery, video, flex slider, and a many more. You may check the live preview to see the actual action. You get 2 themes with this purchase: full site and one page portfolio site. This Theme is WordPress 4.2+ Ready! Thank you so much for purchasing this theme. We’re be glad to help you if you have any questions relating to this theme. No guarantees, but we will do our best to assist. If you have a more general questions relating to the wordpress themes on ThemeForest, you might consider visiting the forums and asking your question in the “Item Discussion” section. If you need support use the form on my Profile page to get in contact with me. Support questions are typically answered before 24 hours except on weekends it may vary.